For nearly 150 years, Anheuser-Busch (AB) was a family company that was passed from father to son for generations. The Busch family turned a family business into a world-renowned beer manufacturer. Budweiser was branded to the world as the "King of Beers," and the Busch family wasn't too far from American royalty in terms of wealth and respect (catch my post on American Royalty by visiting http://goo.gl/8Axil). According to family historians, a couple drops of the company's namesake Budweiser beer were put onto the tongue of each first-born son before he even tasted his mother's milk. For the early part of the company's storied history, the St. Louis, MO family demonstrated very good business acumen, mass-marketing a beer that is viewed by many Americans as mediocre at best. But prohibition all but wiped out most of Anheuser-Busch's competition, yet the family demonstrated considerable business skills, surviving by selling the raw ingredients (it wasn't illegal to sell those, only to assemble them), so the company was able to survive by selling the raw ingredients instead of the full product; even while many rivals disappeared. 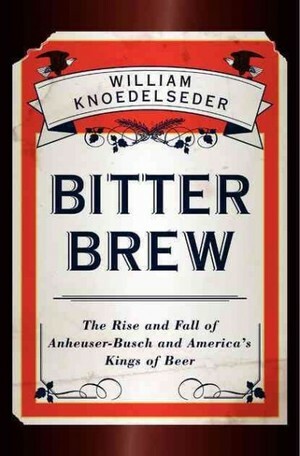 William Knoedelseder, the author of "Bitter Brew: The Rise and Fall of Anheuser-Busch and America's King of Beer" said "Their yeast profits saved the company. That was the cash engine that was able to keep the company open." What really differentiated AB was not necessarily a superior product, but the company's ability to sell it to millions of Americans over regional brews by taking an approach not too dissimilar to other consumer products marketers including companies like Procter & Gamble. Notably, AB was the first company to pasteurize beer so that it would stay fresh on cross-country trips. However, the latter part of AB history is much like other royal families, and was less about keeping up the family traditions, but being scarred by embarrassments. For example, in 2008 AB was a $19-billion-a-year Fortune 500 company and was still operating as a family business. August IV, the great-great-grandson of one of the founders Aldolphus, and then-CEO, showed up to speak at a beer industry convention but he couldn't seem to get a word out. "He's stoned, he's loaded, he cannot deliver the speech," Knoedelser wrote. Of course, the company ceased to exist as a family company in 2008, when InBev, the Leuven (Belgium)-based owner of Beck's and Stella Artois, acquired Anheuser-Busch, the maker of Budweiser, in a $52 billion hostile takeover. However, from there, the tale continues it's interesting (if sordid) path. 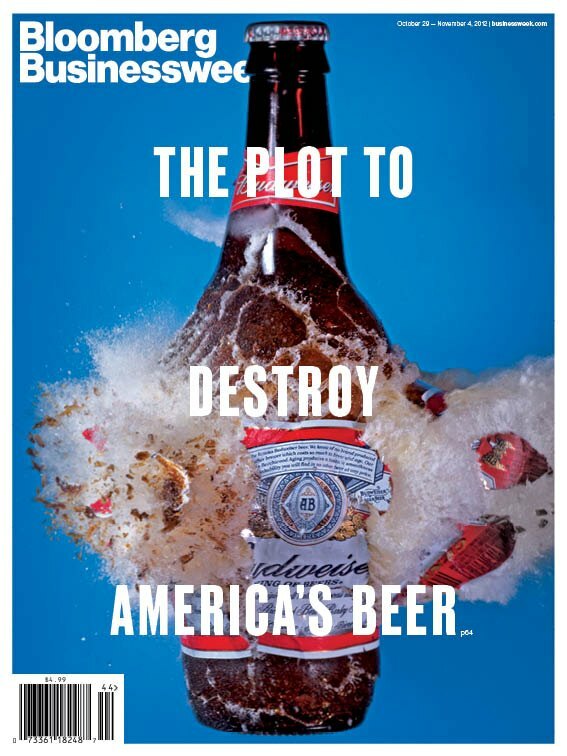 In late October 2012, Bloomberg BusinessWeek featured as it's cover story "The Plot to Destroy America's Beer" (see that article by visiting http://buswk.co/TZMIgU) which highlighted how the company, now known as Anheuser-Busch InBev is doing virtually everything right financially, EXCEPT that it can’t seem to sell beer. For example, the company owns more than 200 different beers around the world, and it would like to buy more, but there's not many brewers left to acquire. The man in charge of AB InBev is 52-year-old man named Carlos Brito. The Brazilian-born CEO is a millionaire many times over, although he wasn't always that way. BusinessWeek notes he was born in 1960, he was originally known as Carlos Alves de Brito and studied mechanical engineering at Federal University of Rio de Janeiro. He wanted to get an MBA from an American business school, but he couldn't afford the tuition. Through a family friend, Mr. Brito met a wealthy Brazilian banker named Jorge Paulo Lemann. The two were well matched. According to a Brazilian business magazine, there were two ways that an employee of Lemann’s bank could quickly be shown the door. One was to appear in the Brazilian celebrity magazine Caras. The other was to purchase a foreign car (Lemann and his partners sold their bank to Credit Suisse in 1998 for nearly $1 billion). Mr. Lemann thought Brito had potential, and he agreed to pay for him to get an MBA at Stanford University. When Mr. Brito finished at Stanford, he went to work for a Brazilian brewing company, hence his start in this industry. While Mr. Brito has been able to transform the company into a global brewing giant, he's operated the company much like a private equity firm, slashing costs at the combined company by $1.1 billion in a single year, for example. AB InBev's margins widened substantially, and its share price nearly quadrupled since the AB takeover. The company's shares swooned during much of 2011. Mr. Brito has increased revenue and profit, but he's done so almost entirely by raising prices and cutting the cost of making the product. That's done wonders for AB InBev's balance sheet. He's also continued that with a seemingly endless stream of acquisitions. However, much of his success has been strictly financial engineering, and once all the "efficiencies" are squeezed out of the company, he's got to figure out how to actually sell beer, and that's something he's not yet succeeded in doing. He has yet to prove he can also be a good marketer, which Wall Street wasn't concerned about when he first transformed the company, although Wall Street may be thinking differently about that today. AB InBev's Problem: It Can't Seem to Sell Beer in the U.S.
AB InBev was going to rely on profits from the U.S. to fuel its growth in more rapidly-growing markets like China. However, BusinessWeek reports that price increases have weakened thirst for Budweiser and Bud Light in their country of origin, Bud Light shipments in the U.S. declined 3% to 39 million barrels from 2009 to 2011, according to Beer Marketer's Insights. Bud slipped 13%. Anheuser-Busch's shipments were actually rising before the InBev takeover, according to Beer Marketer's Insights. Mr. Brito's attempts to wring dollars from other previously strong brands, such as deciding to brew Beck's and Bass in the U.S., have also met disapproval. According to Bump Williams Consulting, sales of Bass in food stores fell 17% in the four weeks ended September 9, 2012, compared with the same period in 2011. "They are hurting these brands," said Gerard Rijk, a beverage analyst at ING. "The authenticity of Beck's is that it is a German brand with German water, with German malt, with German hops. This isn't about brand building. It's about costs. Full stop. Heineken would never do such a thing." BusinessWeek also reports that once Mr. Brito was done with his latest round of merging and acquiring (the last acquisition was Mexico's Grupo Modelo, best known to Americans as the brewer of Corona), shareholders started paying more attention to AB InBev's declining market share in the U.S. (and elsewhere). AB InBev's shipments in the U.S. have declined 8% to 98 million barrels from 2008 to 2011, according to Beer Marketer's Insights. Last year, Coors Light surpassed Budweiser to become America's No. 2 beer. (Bud Light still remains No. 1 for now, but how long it can retain that distinction remains to be seen, Bud Light shipments in the U.S. declined 3% to 39 million barrels from 2009 to 2011, according to Beer Marketer's Insights). Meanwhile, Bud slipped 13%. Of note is the fact that Anheuser-Busch's shipments were rising before the InBev takeover, again according to Beer Marketer's Insights. The company is also alienating lovers of AB InBev's imports like Becks by not importing them anymore (or using the signature hops and other ingredients which gave the products their distinctive flavors). Indeed, a former top AB InBev executive, who declined to be identified by BusinessWeek because he didn't want to get in trouble with his former employer says the company saved about $55 million a year substituting cheaper hops in Budweiser and other U.S. beers for more expensive ones like Hallertauer Mittelfrüh.). And Mr. Brito is now risking the devotion of American beer lovers by fiddling with the Budweiser recipe in the name of cost-cutting. American consumers are drinking less beer than they once did, but even those who do drink beer seem to have moved on from big brews. But, as BusinessWeek reporter Devin Leonard wrote "After one last carnival of cost-cutting, Mr. Brito would have no more easy ways to juice his company's stock." BusinessWeek speculates that Mr. Brito may have set his sights on PepsiCo, but that's entirely speculation, and it may not happen. And, in the meantime, he now has to prove he can sell beer because he's running out of costs to cut. The bigger question is whether he'll be able to do that? Meanwhile, the growth of America's craft beer scene is well documented: smaller, independent brewers are flourishing even as big beer companies fight declining sales. Indeed, such brewers are growing even as the overall U.S. beer market shrinks, which means the only place their growth is coming from is from the big guys like AB InBev or SABMiller. While big brewers have tried to buy their way into that market (typically unsuccessfully), a new, potentially more challenging trend is now emerging: demand for ever smaller, ever more local beer has opened brand new opportunities for talented home brewers to test the marketplace for their beers, which have collectively captured nearly 10% of the market. The mid-six figure investment required to start a microbrewery was too high a bar for most people who begin brewing as a hobby, but for those who are serious and passionate about building a beer business, they can now launch nanobreweries with a much more attainable five-figure investment. That means hometown breweries can emerge in places where sales for beer was once the domain of national brewers. While the story of Anheuser-Busch rise and fall is somewhat tragic, this seems to be one example where consumers could actually end up as the winners. It will be interesting to see how the giant breweries respond to the changes in the U.S. beer market, but consumers are already voting with their dollars, and big brews don't even appear to be on their collective radar screens. Meanwhile, the emerging youth market appears even more predisposed to accelerate this trend, in much the same way as they've embraced gourmet cuisine (often prepared by themselves). Winning them back will require more than skilled financial engineering. Author P.S., January 31, 2013: Bloomberg News reported (see http://bloom.bg/XqpjIq) that Anheuser-Busch InBev may have to give up more control of U.S. beer distribution or even sell a brewery in order to settle an antitrust lawsuit by the U.S. to block its $20.1 billion takeover of the rest of Mexico's Grupo Modelo SAB. The U.S. Justice Department has expressed objections to the deal because the transaction would give AB InBev with almost half the U.S. market, therefore the Justice Department has threatened to sue, arguing that the proposed acquisition would violate antitrust law because it would eliminate the "substantial head-to-head competition" between AB InBev and Modelo and would "diminish the company's incentive to innovate." Stay tuned for more! Author P.S., March 17, 2013: NPR's "All Things Considered" news program reports, in a story entitled "Craft Brews Slowly Chipping Away At Big Beer's Dominance", that although 90% of beer sold in the U.S. is from just 2 companies (Anheuser-Busch InBev and MillerCoors), innovators are challenging that dominance in the form of craft beer breweries. Small craft and regional breweries — now account for about 6% of domestic beer sales, which has been growing every year since the early 1990s, while big brewer share is declining. That story can be viewed (or listened to) by visiting http://n.pr/111Ju1B. However, it remains a challenge for craft brewers to get on eye-level store shelves. NPR's Jacki Lyden, host of weekends on All Things Considered, said "Everyone wants to be on grocery store shelves at eye level," Flock says. "Craft brewers say big beer is increasingly pushing them out of those prime spots." Author P.S., April 23, 2013: NPR reports (see http://n.pr/14PW0Hs) that a federal court has approved a settlement agreement between the U.S. Department of Justice and Anheuser-Busch InBev that will allow the mammoth beer company to complete its purchase of Grupo Modelo, a Mexico-based brewer that produces Corona, Pacifico and other beers. However, the deal requires AB InBev to sell ALL of Modelo's U.S. business, but it now clears the way for the $20.1 billion acquisition of the remaining portion of Modelo that AB InBev did not yet own. Under the terms of the deal that were announced, Constellation, the company to whom Grupo Modelo will divest its U.S. holdings, will pay AB InBev $2.9 billion for control of the beer brands in the U.S., along with $1.85 billion for full control of Crown. Author P.S., November 23, 2014: The Wall Street Journal reports that sales of craft beer -- defined as beer made by independent breweries using traditional methods now surpass those of Budweiser. Slate does a good job of recapping the article HERE. Author P.S., March 23, 2016: As this post notes, once upon a time, a lack of transportation and refrigeration meant that most beer sold in the U.S. was locally produced. But with the advent of of that plus pasteurization, the beer industry had become largely nationalized. But according to new data released by the Brewers Association, a trade organization representing small and independent American brewers based on data from several sources representing the beer industry over the years, there were 4,269 operating breweries in the country at the end of 2015, surpassing the previous record logged back in 1873, when breweries in the U.S. basically had to be local because refrigeration and pasteurization didn't exist at that time. Big companies may still churn out more barrels, but small and independent breweries now comprise 99% of the total breweries in operation by count. The trend now is because American consumers are rejecting bland, mediocrity for more flavorful brews that Americans once admired Europe for. For Carlos Brito, industry consolidation (driven largely by AB Inbev and big competitors) hasn't stopped consumers from voting with their taste buds. See http://bloom.bg/1SgcsWI for more details.